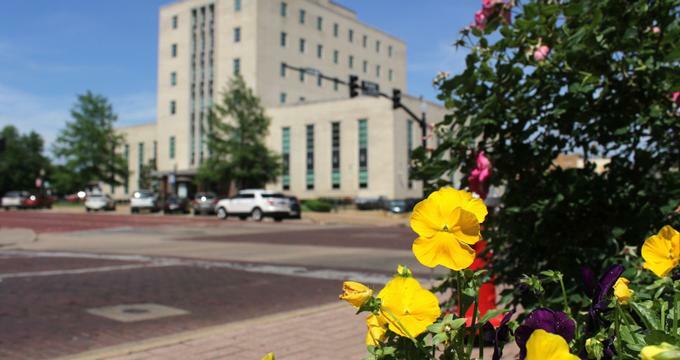 Nicknamed the Rose Capital of the World, Tyler is a bustling city in Texas' Smith County. 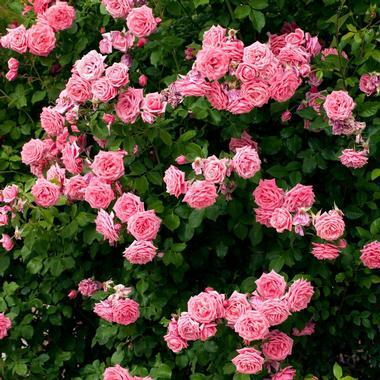 Named after President John Tyler, the city lies 95 miles east of Dallas and gained its reputation as the rose capital for the large quantity of rose bushes growing in the area and because it is home to the country’s largest rose garden. Here are the best things to do in Tyler, Texas. Set on 14 acres of beautifully manicured landscapes that feature more than 35,000 rose bushes and more than 500 varieties of roses, Tyler Rose Garden is world-renowned and offers visitors an unforgettable visit. Open from dawn until dusk seven days a week and free for the public to enjoy, Tyler Rose Garden has several areas of interest, including the Heritage Garden and the Ida Garden, as well as spectacular collections of camellia and day lilies. The Tyler Rose Garden is also home to the Rose Garden Center, a beautiful space that can be rented for special events and occasions such as weddings, birthday parties, reunions, and more. A small gift shop allows visitors to take a memoir of the Rose Garden home with them. The Caldwell Zoo is an 85-acre zoo that provides a sanctuary for a variety of animals from all over the world. Founded in 1937 by David King Caldwell, the zoo began as a Child Development Laboratory where children could interact with animals such as parrots, monkeys, and squirrels. Sixteen years later, it became an official zoo. Early residents of the zoo included a lion and chimpanzee, while today, the zoo is home to a wealth of mammals, reptiles, birds and insects. The zoo also has a large giraffe and hoofstock barn and an elephant facility, a giraffe barn, a Texas reptile and aquarium building, and the Overlook plaza. The Tiger Creek Wildlife Refuge is a specially designated Preserve for rescued lions, tigers, leopards, and other big cats. The 150-acre preserve offers natural habitats for more than 40 rescued big cats and provides a sanctuary for the rehabilitation of wild cats that have been neglected, abused, or displaced. The refuge was not only established for the rescue and rehabilitation of these animals but also to promote conservancy through educational opportunities for people of all ages. The Tiger Creek Wildlife Refuge also offers an outreach program for the tigers in the wild, as well as genetic research, excellent educational programs that include internship opportunities, and sensory tours for children with special needs. Discovery Science Place offers a fun-filled, interactive, and hands-on educational experience for children of all ages. The museum is home to an array of exhibits, including a large man-made cave with a built-in earthquake simulator and various rock/sediment displays, a mock television station with working camera and mini-control board, a live iguana, and various physics-related exhibits. The Discovery Science Place also offers a multitude of engaging, age-appropriate educational programs, camps, classes, and events that aim to provide guests with a greater understanding and passion for the natural world, the sciences, and learning in general. The museum often hosts free community events and activities for the whole family. Covering 985 acres north of Tyler, Tyler State Park is a beautiful state park that has a 64-acre lake and offers a variety of outdoor activities for all ages. 100-foot tall trees and historic structures that visitors can explore surround the spring-fed lake, and you can rent boats as well as take a refreshing dip or fish for perch, bass, or catfish. The lake has three fishing piers and a boat ramp for launching, and fishing tackle can be rented. 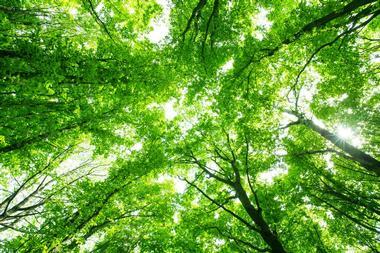 Other activities in the park include camping, picnicking, bird and wildlife watching, rambling through the woods, geocaching, and hiking or mountain biking one of the many trails such as the Whispering Pines Nature Trail. 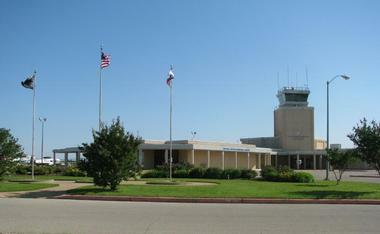 Located in the old passenger terminal building of the Tyler Pounds Regional Airport, the Historic Aviation Memorial Museum (HAMM) is dedicated to the history of aviation during times of both peace and war and is home to an excellent array of displays featuring historic military aircraft and aviation memorabilia. The HAMM hangar facility is used as a base for restoration of older aircraft as well flying aircraft, and the museum hosts a variety of high-profile airshows and air exhibits that are open for the public to enjoy. The Historic Aviation Memorial Museum also offers a variety of aviation-based educational programs, a multimedia theater room and library, and a small gift shop that sells books and mementos. 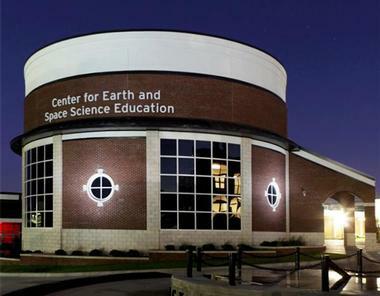 Established to inspire and nurture an interest in and passion for sciences, the Center for Earth & Space Science Education is located on the campus of Tyler Junior College and is one of the largest planetariums in Texas. The state-of-the-art planetarium offers visitors a one-of-a-kind immersive, full-dome video experience with real-time space flights, and visits to various locations around the planet. Azalea Residential Historic District The Azalea Residential Historic District is one of Tyler’s historic districts and is packed with a high concentration of early to mid-20th-century homes. Built in a variety of styles, from Queen Anne, Classical Revival, Craftsman, and Ranch to the International style, these beautiful homes, mansions, and estates convey the rich architectural heritage of the city. They also showcase the incredible growth that Tyler experienced due to the advent of the East Texas Oil Fields and subsequent industry. 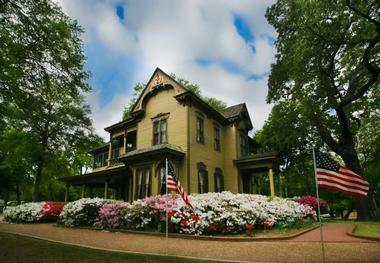 The Azalea Residential Historic District was designated as a National Historic District in June of 2003. The Tyler Museum of Art is a private museum that showcases the works of local and international artists, including those from Texas, and encourages art education in the community. Designed by the architectural firm of E. Davis Wilcox and Associates, the award-winning two-story museum spans more than 17,000 square feet and is home to three galleries that feature over 1,500 works in its permanent collection, including paintings, photographs, prints, and sculptures by artists such as Alexander Calder, Vernon Fisher, and Charles Umlauf. Situated next to the campus of Tyler Junior College, the museum also has a research library, on-site café, and gift shop. The 1859 Goodman-LeGrand House and Museum is a historic landmark Civil War-era estate that has been turned into a museum. Located at 624 North Broadway, the Goodman-LeGrand House and Museum has been a recorded landmark since 1976 and is listed on the National Register of Historic Places. Named Bonnie Castle by original owner Samuel Gallatin Smith, the Goodman-LeGrand House was built in the Greek Revival style on nine acres of land and became a refuge for families of refugees fleeing the Union Army in the Capture of New Orleans in 1862. The house was sold to the Goodman family and remodeled into the current Classic Revival style. Later, it was made a museum and opened to the public. 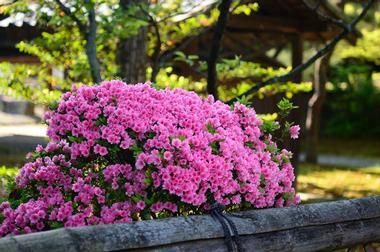 The LeGrand Park and Gardens are open to the public and admission is free. Kiepersol is an award-winning wine estate that produces estate-grown artisan wines that have been finely crafted from the abundance of the earth. Situated on 63 acres of rolling landscapes and vineyards, the family-run estate produces classic red and white wines that capture Old World style and highlight the characteristics that the terroir has to offer. Kiepersol has a wonderful tasting room located at the top of the rolling vineyard where visitors can sample the estate’s best vintages, learn about the winemaking process, and soak up the beautiful property views. Kiepersol's Restaurant offers gourmet breakfasts, light lunches and delectable dinners accompanied by hand-selected, world-renowned wines from the estate’s cellars. The Children’s Park of Tyler is a unique park that offers a variety of opportunities for both natural play and quiet meditation for children of all ages. Established to honor the lives of all children, the park accomplishes its goal through celebrating the art of physical play by providing a range of equipment, statues, and walkways. Known for its beauty and wonderful sense of community, the park includes a beautiful butterfly garden, two waterfalls tinkling into a fishpond, a children’s story circle, life-size bronze statues of children and solid granite bears, and a small event center. Cobblestone walkways crisscross the park, and benches with children’s names engraved along the edges dot the area. 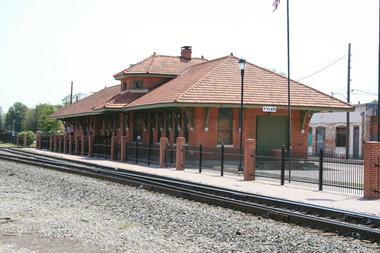 The Cotton Belt Depot Museum is dedicated to showcasing the history of the Saint Louis Southwestern Railroad. Best known as the Cotton Belt, the narrow gauge railroad line originated in Tyler as the Tyler Tap, and it was built to transport cotton and produce to the town of Big Sandy in Texas. Housed in the Cotton Belt Depot, which acted as a station for railroad passengers for the first half of the 1900s, the museum presents a journey back in time to the age of the railroad and its rich heritage. Operated by volunteers of the Cotton Belt Rail Historical Society, the museum features an excellent hands-on model train collection donated by Mr. and Mrs. Clyde Bragg, among other exhibits. Camp Ford Historic Park is dedicated to highlighting the history of Camp Ford, the American Civil War’s largest Confederate Prisoner of War Camp located west of the Mississippi River. Established in August of 1863, the camp remained open until 1865 and detained more than 5,300 prisoners during its time. The site of the infamous camp stockade is now a public park that is free for the community to explore. It features a walking trail with interpretive signage, a kiosk with an excellent diorama detailing the history of the camp, and a family-friendly picnic area. The Camp Ford Pak also houses a reconstruction of Lt. Col J.B. Leake’s cabin. 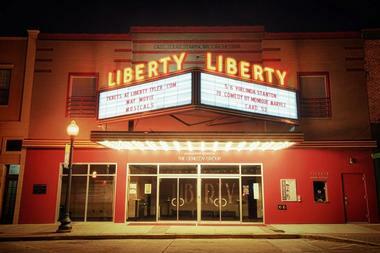 Liberty Hall is a downtown theater that presents live music, comedy, and classic film revivals for the communities of the East Texas region. Established in the 1930s and initially called the Liberty Theatre, Liberty Hall was once a hub of entertainment in downtown Tyler. Operated in conjunction with the East Texas Symphony Orchestra, the newly renovated Liberty Hall today seats up to 300 people and still resonates with music and inspiration; it stands as a centerpiece for the performing arts in the heart of Tyler's new Downtown Business, Arts, and Culture District. Liberty Hall hosts a variety of performing arts events such as musicals and live music, comedy shows, theater presentations, and revivals of classic movies. 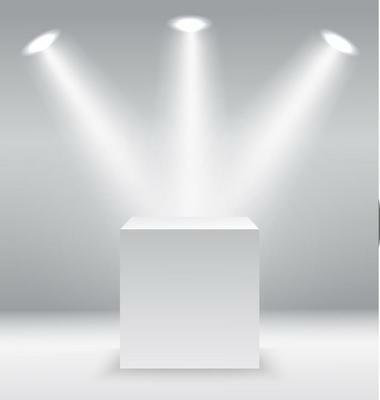 The East Texas Symphony Orchestra also hosts small chamber performances and the popular Noon Notes with the aim of creating an exciting and stimulating arts and entertainment experience. 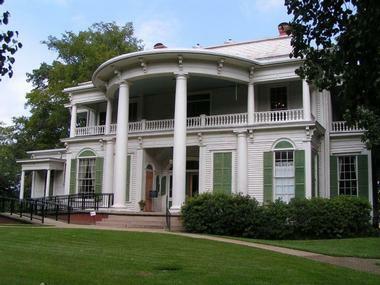 The Whitaker-McClendon House, also known as the McClendon House, is a living history museum that features a range of exhibits displaying artifacts and documents from the Antebellum Period. Located at 806 W. Houston Street, the house is famous for being the birthplace of Sarah McClendon, a correspondent for the White House, and it is listed on the National Register of Historic Places. The Tyler historical landmark was built in the Victorian style with touches of Eastlake and Italianate details and is open to the public on Fridays and Saturdays. Nestled in the beautiful rolling hills of Tyler, Texas Rose Horse Park is a family owned and operated equine event facility that hosts a range of premier horse-riding events throughout the year, including Hunter/Jumper Shows, top-rated Dressage Shows, Horse Trial Events, and Breed Shows. The 1700-acre facility is home to six outdoor show arenas, including a premium Grand Prix Jumper Ring, a full-size, fully lit indoor arena, three show barns housing over 350 stalls for horses, and a tent pad to accommodate an extra 350 horses. The Horse Park also offers a Beginner through Advanced Level Cross Country Course, as well as an RV Park with over 60 pitches. 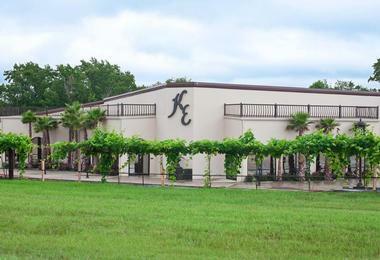 Texas Rose Horse Park provides a wealth of facilities for both the horse community and non-equestrian organizations and businesses, and it presents an ideal setting for special events, concerts, functions, and corporate picnics. 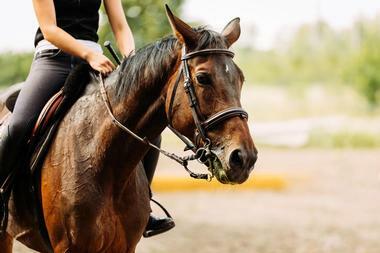 The park is home to the Brunson Equestrian Center, which offers horse-riding lessons, horse-training programs, horse boarding, and summer camps for all levels of rider. The Smith County Historical Society Museum exhibits a range of artifacts that highlight and reflects the historical, social, economic, and political culture of Smith County. Housed in the Carnegie History Center, formerly known as the Carnegie Public Library, the museum features unique exhibits including dioramas in chronological order from the Caddo Indians to 20th-century culture. In addition, the museum is home to the Payne Auditorium, where the Smith County Historical Society meets on a monthly basis with the aim of collecting and preserving data, records, and items relating to the history of Smith County. The society also provides public education about the history of Smith County and maintains the museum’s exhibits and archival collections for future generations.